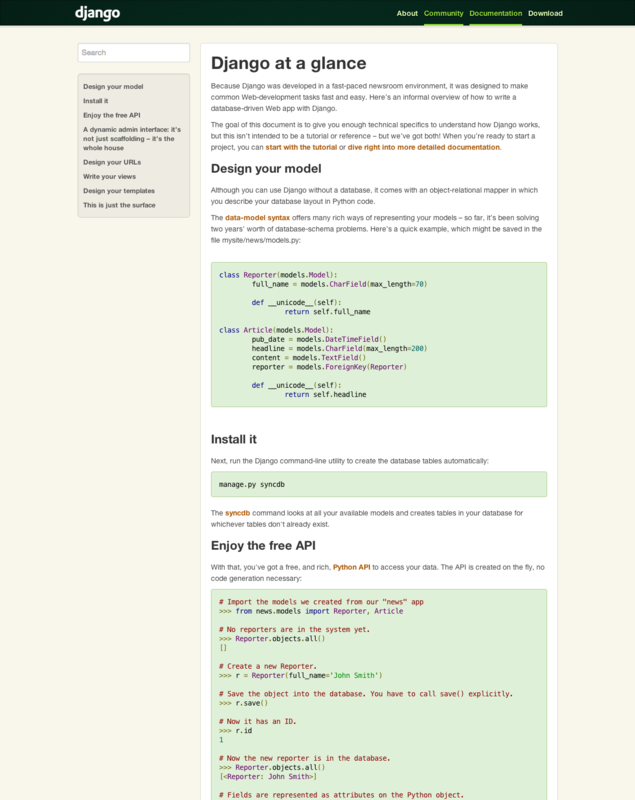 Django’s brief called for a responsive design to give its dated website a visual refresh to match its state-of-the-art framework. 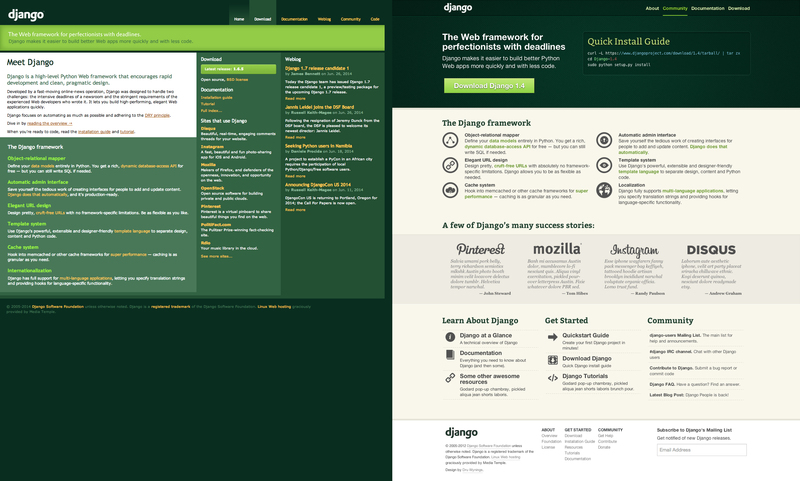 My design proposal reduces the clutter and provides a clear call to action for Django’s diverse set of users. 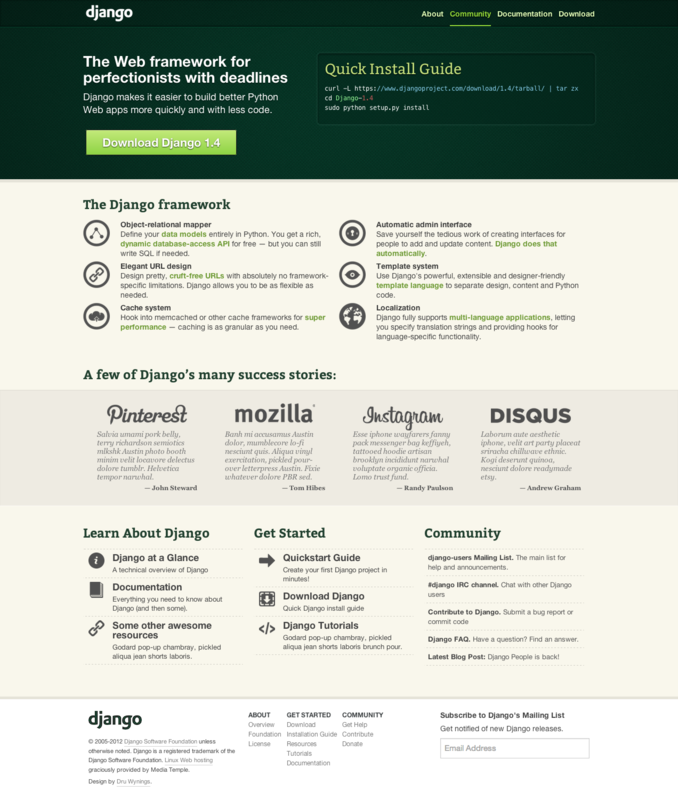 The new design distills Django’s benefits, emphasizes that other successful projects have benefited from Django, and includes an easy to navigate grid that’s extensible for any new content and resources.